SKU: CR-9199 Categories: Men's Outerwear, High Visibility, Rainwear, Yellow Brands: Charles River Apparel. 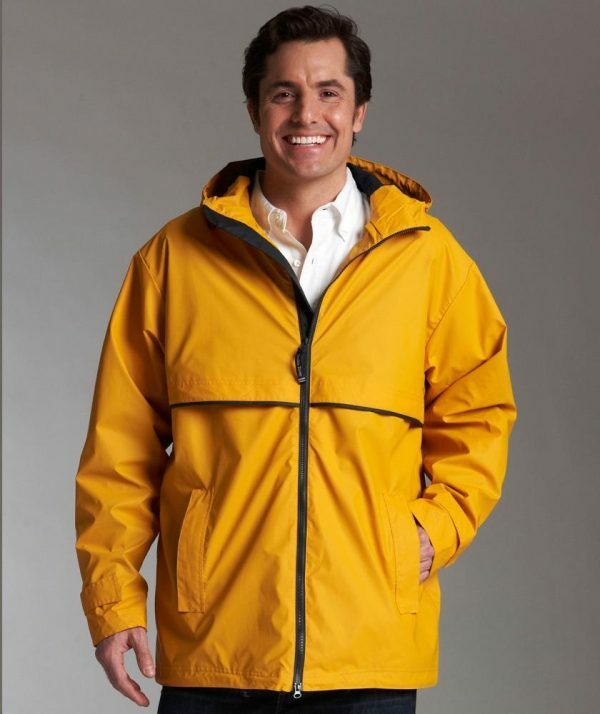 Wind & waterproof New Englander Polyurethane bonded to a woven backing to provide additional fabric strength. Lined with mesh for air-flow circulation (grey on Women’s, contrast colors on Men’s) and taffeta nylon in sleeves for easy on/off. Hood & open hem with shockcord drawstring. Front vented capes provide easy decorating access. Stripe accent on front & back (reflective on Women’s, contrast colors on Men’s). Two-way front zipper offers freedom of movement. Covered zippered side pockets & adjustable hook & loop cuffs.